Is yours a school which likes to run holiday activities? 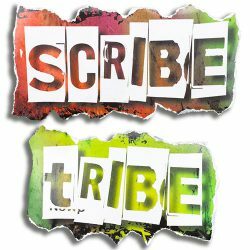 Then a Scribe Tribe week of masterclasses may fit into your plans well, serving your students and perhaps others in the community as part of an outreach programme. Or you may be seeking a post-Ofsted boost to literacy and wish to plan a series of masterclasses targeted more broadly, during term time. Regular visits, building on a closer author-student relationship, really make a difference. Whichever you’re interested in contact Ali via Authors Aloud UK, using the form below, to discuss it now, for Summer 2018 onwards. The shape of the course and the fee structure will be bespoke to each partner school.